Ashwagandha is amazingly healthy medicinal herb and one of the most important herbs in Ayurveda. Ashwagandha is considered to be nature’s (ancient) gift to mankind. Ashwagandha is also known as “Indian Ginseng” or “Poison Gooseberry” or “Winter Cherry”. Here POOJA TRADERS is Ahmedabad based renowned Ashwagandha Powder Manufacturer in India, Supply 100% Natural Ashwagandha Powder all over India and Export out of India. 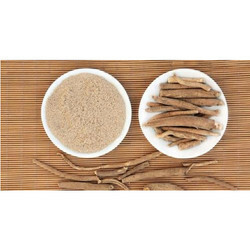 Ashwagandha powder helps to fight against cancer and diabetes, as well as reduce blood sugar levels, Lower Cholesterol and Triglycerides, Reduce Stress and Anxiety and Improve Brain Function. Ashwagandha is a plant, it’s belongs to the “Solanaceae or nightshade family” and its Botanical name is “Withania Somnifera”.